In cars equipped with larger luggage space (e. g. Citroen Berlingo) we assemble sophisticated anchoring systems placed on the floor. 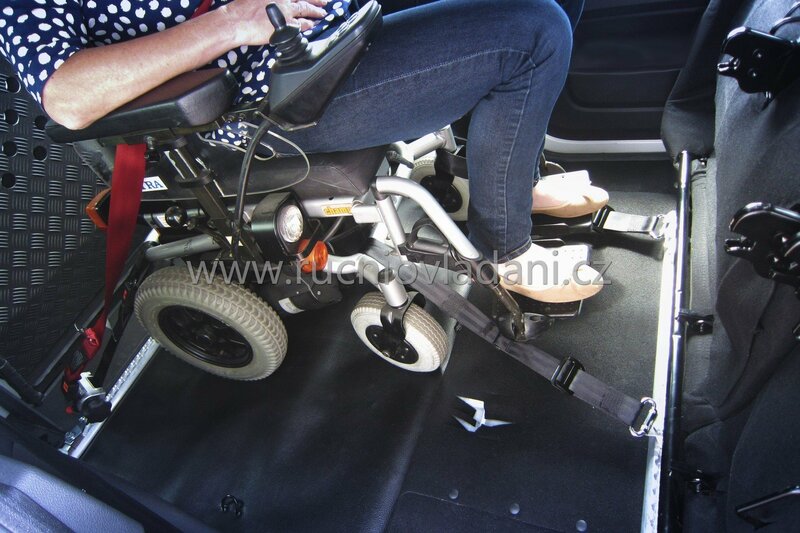 Then it is possible to transport a passenger sitting on the wheelchair. The passenger is chained during drive. 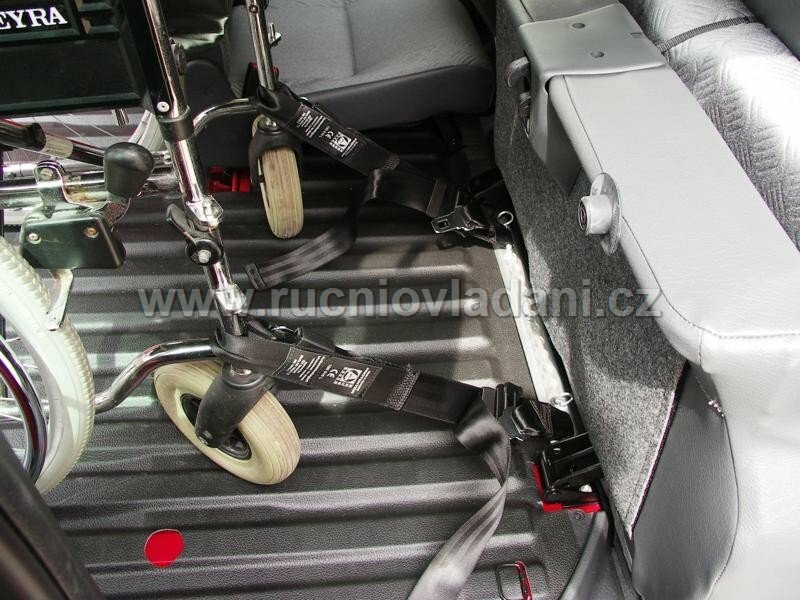 Wheelchair with a handicap person sitting on it situated in the car is secured by universal anchorage segments, which are pushed in the laths fixed on the floor. One lath is situated in front of the wheelchair and the other behind it. 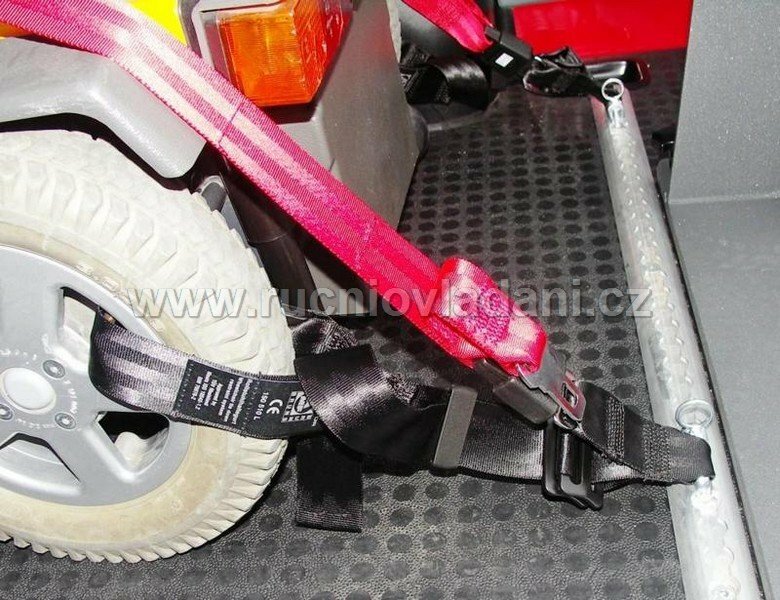 There are four segments, two in the front and two behind, so the wheelchair is safely protected during the ride. Beyond it the person on a wheelchair is secured by two-point seat belt. 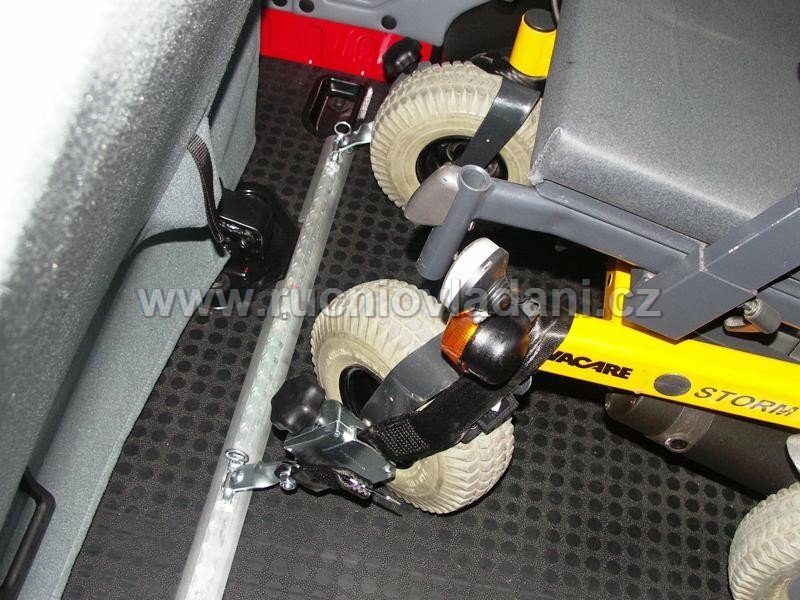 This arrangement is able to use for both mechanical and electrical wheelchair.